Gifting | Indyra: The Authority in Femme. 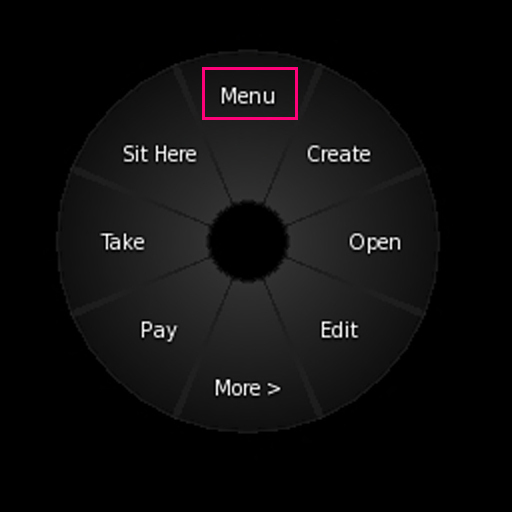 RIGHT CLICK any vendor and choose “MENU” from the pie display. 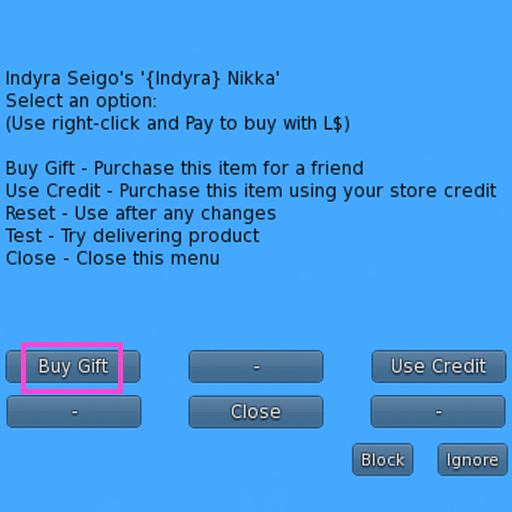 Select “Buy Gift” from SL’s blue menu that opens in your upper right hand corner. Type the name of the person you want to send the gift to in the next window. This command is not case sensitive, but you must spell the person’s name correctly and you may not add any extra blank spaces if they are to be found in the database. 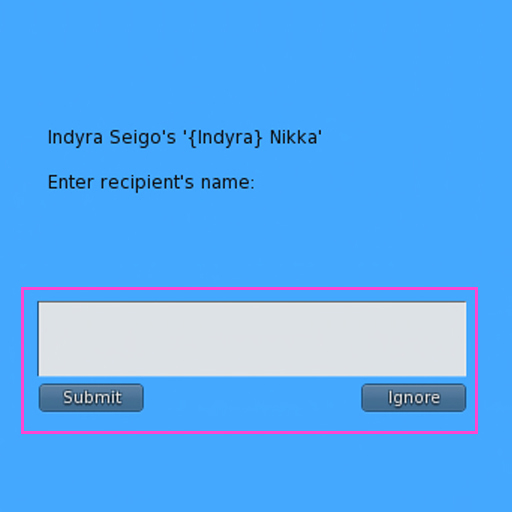 “Submit” button finalizes the person’s name. You can now LEFT CLICK the vendor to Pay the displayed amount. You will receive a message confirming delivery to your friend.